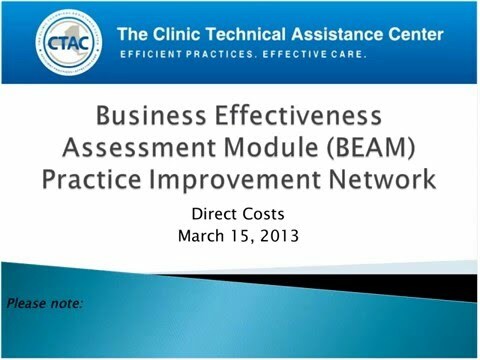 In this training, you will learn how to use the two tabs of CTAC’s Financial Benchmarking Tool: Direct Employee Cost & Contracted Direct Costs. These tabs are used to quantify direct costs within your clinic, as defined by expenses relating to: wages, fringe benefits and contracted staff associated with the provision of billable clinical services. Accurately capturing direct costs is an essential component of understanding the clinic’s financial bottom-line, and is a key component to the creation of an effective financial model that allows key decision makers to model different scenarios of best practice models that best suits the needs of your clinic in order to provide the upmost quality of care to your clients.